More than 100 Tories are set to win council seats in local elections in England on May 2 before a single ballot is cast, provisional figures show. Ukrainians are casting ballots in a presidential election that follows a campaign marred by vicious political infighting and allegations of bribing of voters. A military-backed party that based on unofficial results won the most votes in Thailand’s first election since a 2014 coup has said it will try to form a government, after a rival party also claimed it had the right to govern. Thailand’s election commission has said it will release full vote counts from the first election since a 2014 coup on Friday. Nigeria’s president has defended his sweeping win of a second term as free and fair and appealed to a “common love of country” as his top challenger vowed to go to court with allegations of fraud. Nigeria’s top opposition candidate has rejected the results of what he called a “sham election” and said he will be challenging the outcome in court. Nigeria’s president has been declared the clear winner of a second term in Africa’s largest democracy. A former Ultimate Fighting Championship (UFC) fighter is getting ready for a battle of a different kind as he prepares to step into the Irish political arena. 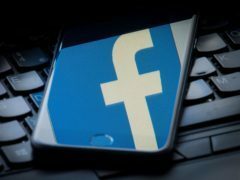 Facebook says it has removed 115 accounts from the site and Instagram for suspected “co-ordinated inauthentic behaviour” as voting begins in the US midterm elections. 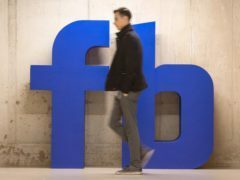 Facebook has created a physical “war room” at its California headquarters as part of its efforts to tackle election interference tactics. Householders in the north-east have responded well to calls urging them to fill in canvass information online. Residents in the north-east are being urged to carefully fill in electoral forms being sent out this week. 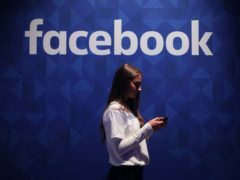 Facebook says it is making progress weeding out fake accounts and fake news on its service. 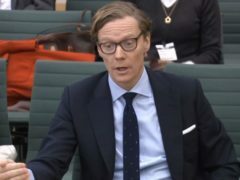 Politicians from across the House of Commons have been airing their concerns over the use of Facebook data by the company Cambridge Analytica, which has boasted about using personal information to target voters during elections. Could Buttons be cat’s whiskers as Aberdeen university rector? Vote for cats not bureaucrats. 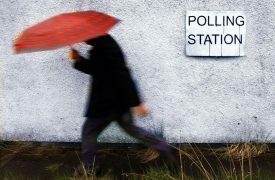 Voters may be more likely to switch their vote from Democrat to Republican if it rains, research has shown. A University rector election has been thrown into doubt over a complaint of irregularities in the campaigning process. 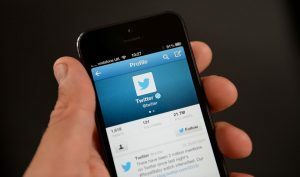 Twitter has banned Russia Today (RT) and Sputnik from advertising on the social media platform. More than 1,830 postal votes will be issued on Friday for the forthcoming Moray Council by-election, representing an increase of 3.2% over council elections in May. Four candidates will contest next month's by-election after a councillor stood down less than a week into being elected. Has Theresa May’s snap election gamble backfired? Theresa May's gamble of calling a snap election looks to have backfired spectacularly, according to an exit poll which indicates she could lose her Commons majority. Jeremy Corbyn has announced that Lyn Brown will stand in for Diane Abbott as shadow home secretary for the period of her ill health. A local authority has been urged to improve access to polling stations following complaints that disabled and some elderly people were unable to vote during recent elections. A lot has been said in the last 48 hours or so about the Aberdeen City Council coalition deal agreed by the Scottish Conservatives, Labour and the Independent Alliance. Scottish Labour's leader has told Aberdeen councillors suspended from her party that their job is to "defend public services" and not "about positions or gold medals around the necks".